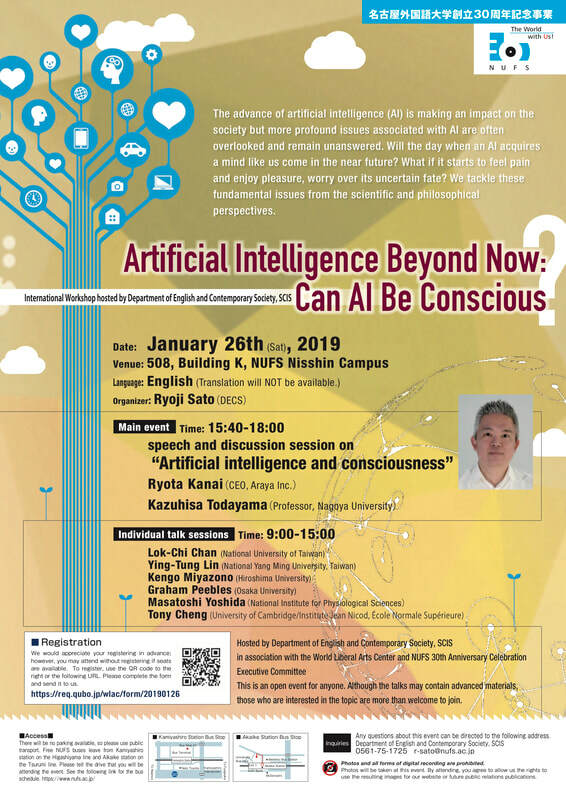 A satellite workshop on AI and consciousness ("Artificial Intelligence Beyond Now: Can AI Be Conscious?") will be held on the next day of CoRN2019 at Nagoya University of Foreign Studies. Go to ​the satellite workshop page for detail.